Plan your visit now to attend Opening Day 2019 at Kings Island on April 20 and be among the first guests of the year to experience the park's line-up of world-class rides and attractions, including the new Kings Mills Antique Autos. Challenge roller coasters like Banshee, Diamondback, Mystic Timbers and the legendary Beast. Families can spend the day together in Planet Snoopy, voted "Best Kids' Area in the World" 18 years in row. Opening Day also offers the first look at the International Street renovation, plus new food food items, games and merchandise. Opening Day at Kings Island is just the beginning of another fun and memorable year at the 364-acre amusement and waterpark. Make sure you get the best value with a 2019 Gold Season Pass! You’ll enjoy four seasons of fun with unlimited visits to Kings Island, Soak City Water Park, Halloween Haunt and WinterFest, free season-long parking, exclusive discounts and events, Bring-a-Friend offers and early ride time on some of your favorite attractions, including the Kings MIlls Antique Autos and The Beast. Score a free Beast 40th anniversary t-shirt! This year marks the 40th anniversary of the world's longest wooden roller coaster, The Beast, and Kings Island will celebrate in a special way. To kick off the celebration, riders on the first 40 Beast trains after the park officially opens for the 2019 season at 10 a.m. on April 20 will receive a 40th anniversary Beast t-shirt. Limit one (1) t-shirt per guest. 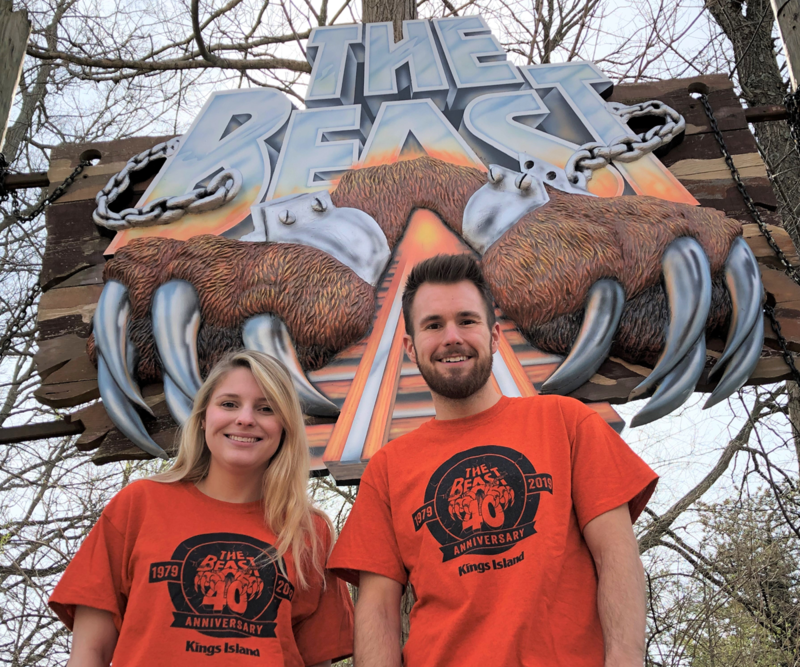 *Beast 40th anniversary t-shirts will not be distributed to riders during Gold and Platinum Passholder early ride time between 9:30 a.m. and 10:00 a.m. on April 20.